Greetings! I'm here today to help prevent your beloved comic books from getting damaged in the mail. This will also help you to be a better ebay seller, too if you are one of "those" people. These are strict recommendations if you are submitting books to me directly. This is the exact way I submit books to CBCS or CGC or my convention facilitator, Trinity Comics Convention Facilitator Services. I will provide links to everything I have purchased on ebay. Always buy your shipping supplies on ebay. It's the cheapeast and quickest way to ship your books. Trust me. You will also need boxes and GEMINI PRINTED MEDIA MAILERS and NOT Gemini II comic book mailers. For comics you can use 12x12x4 boxes which are cheaper via USPS because they are under 12". Graded books should be shipped the same way but inside a 14x14x4 box instead. Should you decide to use Gemini II comic mailers, don't. 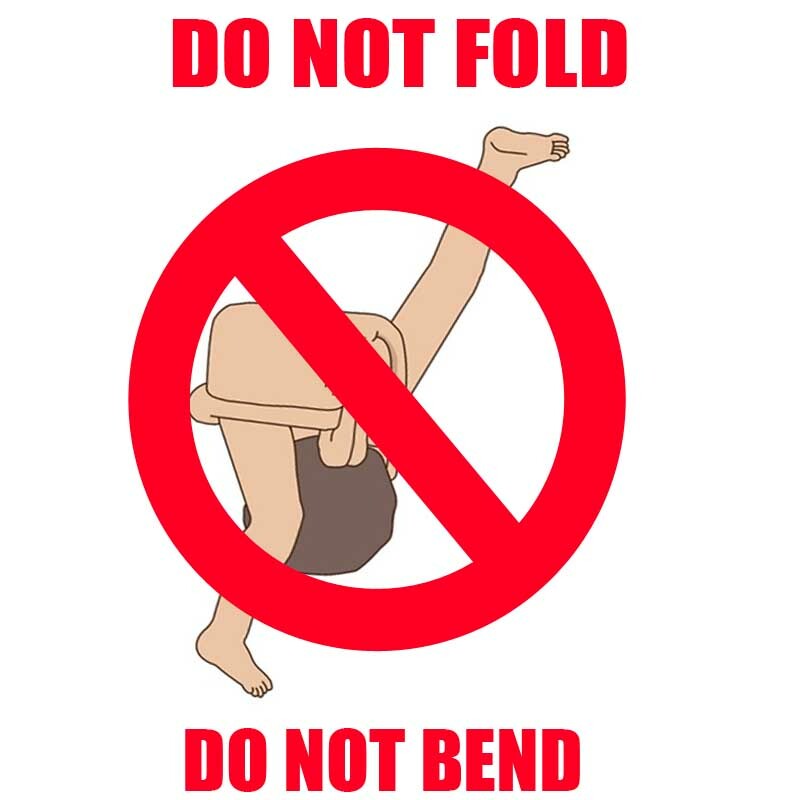 They will bend your books up. Keep them completely flat. You don't need the extra overlapping carboard panels because those will damage your books. Now that you have your supplies and for super cheap on ebay...you're on your way to buying and selling comic books through the mail. Let's begin, shall we? Today we are going to mail SPAWN #9 to myself. The first appearance of Angela, Thor's sister! Place your comic book carefully inside a mylite2 with fullback (preferred) or use BCW silver age bag and boards. Fold up the Gemini II comic mailer along the perforated edges for the comic book. You can safely ship up to 10 books this way, alternating spines along the staple line. Stack the books cover to cover, tape to tape, and top to top, then bottom to bottom, alternating spines for a flat stack. You do not want to imprint tape lines onto other side of books stacked on. Be sure to use a yard stick or ruler to pre-fold out your lines or you will damage your spines. 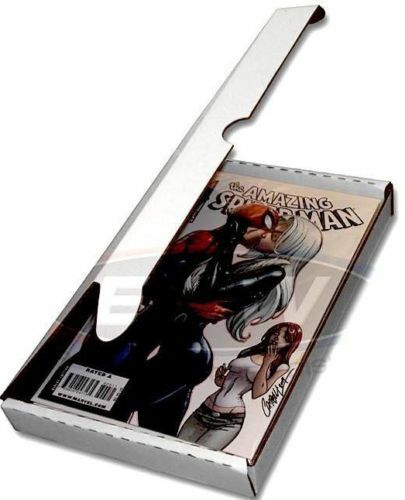 You may also use these BCW comic book shipper boxes when mailing 10 or more comic books. You can place 3 of these inside a box that is 14x14x6 in size. This is recommened for when sending in 30 books to CGC at one time on one invoice. Place the comic book(s) face down. You are going to place strips of blue painters tape along the sides. Do not be a "Jerry Smith" and put blue tape over the scotch tape on top flap. Back of Gemini II Mailer. You can see the top and bottom tape flaps over side. Print your name clearly in black sharpie. Write your email address. Write your phone number too in case there is a problem. Also you should write out the name of the comic book title(s) and issue #. Write clearly and legibly. You collect comic books. You are not a doctor. Okay now set that aside somewhere. Somewhere safe from children, coffee, mountain dew, or anything else might sprinkle on it. We are going to build a box! Get ready. It's hard. Let's make sure that box survives the USPS. Use 3-4 pieces on the bottom outer flaps. Use tape to tape in inside bottom flap too. On the sides, I've seen boxes get blown out from stress or other boxes on top. Use tape on that corner seam that's merely glued. Tape the inside too. Don't be lazy. Go beyond what's necessary. After all, you just bought like 25 rolls of clear packing tape, right? Okay then, tape away! So now I'm going to show you the inside of the box to re-iterate what I was stressing about the corner seam of these boxes. Tape away with all that extra tape, brah. Sprinkle some magical fairy dust otherwise known as styrofoam peanuts in the bottom of the box, only enough to where you can't see the bottom. Shipping peanuts is fun to give, but never to receive. So you have that going for you, right? Place your books with the writing side up and place some remaining packing peanuts on top of the comic. Only enough to which you still have a half inch to an inch of space between the top of the box and the top of the layer of peanuts. You do not want to crush your books with the box flaps because you overstuffed the box with peanuts! Now you are ready to seal the box up. Place fragile stickers/tape on the corners and bottom of the box. Print out your USPS shipping label from the USPS website and affix it to the top of the box. You have now packaged a box of comics inside a box to be shipped out. Congrats! See? Wasn't that easy? I hope this guide helps you as it has helped me over the years. I have been selling on ebay since 2010 and I learned slowly over time all of these tips. I'm here to share them all with you on this page. If you want to maintain a 9.6 or 9.8 or even a higher grade on your book, but you want to get it signed by a super famous movie star celebrity or hot shot reclusive artist, you need to prep that comic book! Window bag your comics. It's the safest and most reliable way to prevent as much handling of the comic before and after signing. Most facilitators require it these days. Some creators such as Jim Starlin and a few others are against this practice so you should definitely research the person who is signing first to make sure they are okay with it. Most creators are fine with it, and use it as a basis for additional income. Here is a detailed step-by-step guide that will walk you through the process: HOW TO WINDOW BAG PREP COMIC BOOKS FOR SIGNATURES.